Its fresh green fragrance takes you back to a calm & serene world filled with beauty & freshness. An exclusive range of body deodorant designed or the contemporary man to suit his individuality and attitude. 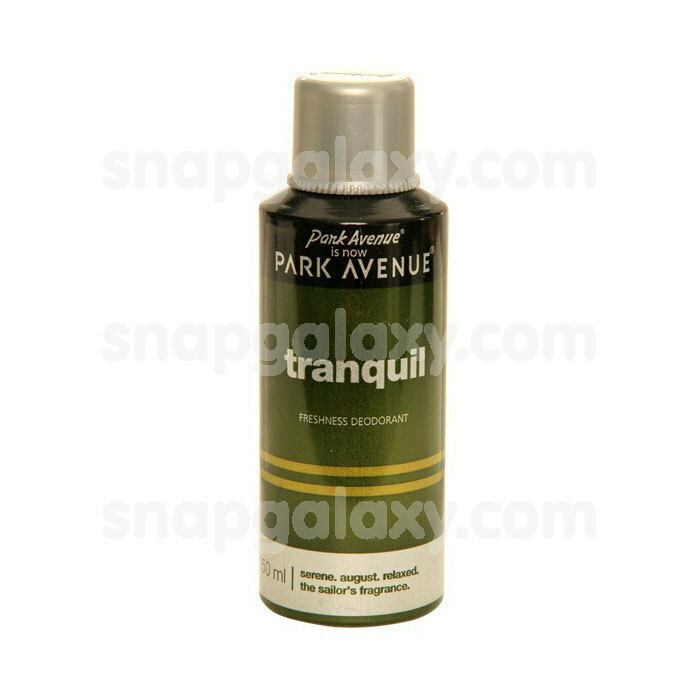 Park Avenue is a Brand from J.K. Helen Curtis Ltd., which has been in the Personal Grooming and Toiletries industry since 1964. J.K. Helen Curtis Ltd. is a part of the Raymond group - synonymous with Quality, Trust, Excellence and Leadership. Over the years, the Park Avenue range of Personal Care and Grooming products have earned a reputation for being amongst the best in the industry. Park Avenue products are developed using international standard fragrances and high level of Research to ensure that the products stand the test of quality and consistency. The range resonates with top notch fragrances which leaves everyone else mesmerised.